2 layer board of 3.89 x 2.07 inches (98.8 x 52.6 mm). Uploaded: December 26th, 2016 00:38. This is the Open Panzer TCB (Tank Control Board). It is a highly-capable and flexible control board designed specifically for RC model tanks, but also suitable for halftracks, cars, or even battleships. The hardware is based on an ATmega 2560 processor and the firmware consists of an Arduino sketch as well as various C++ libraries. 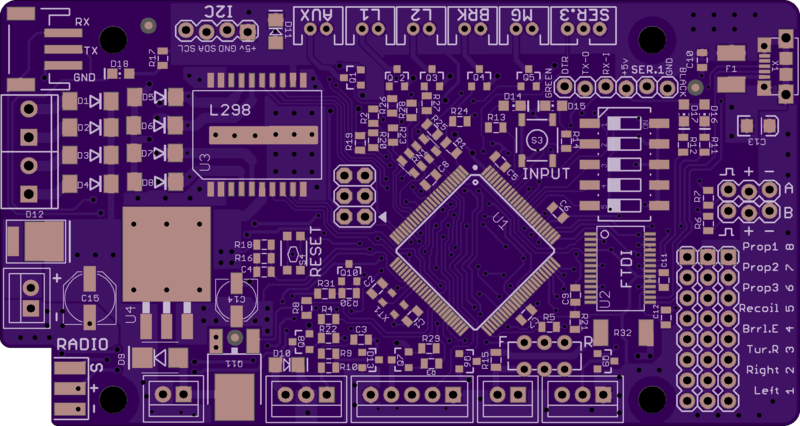 All Open Panzer projects are fully open source, both hardware and software. For more information on this device and the project, see the OpenPanzer.org website. 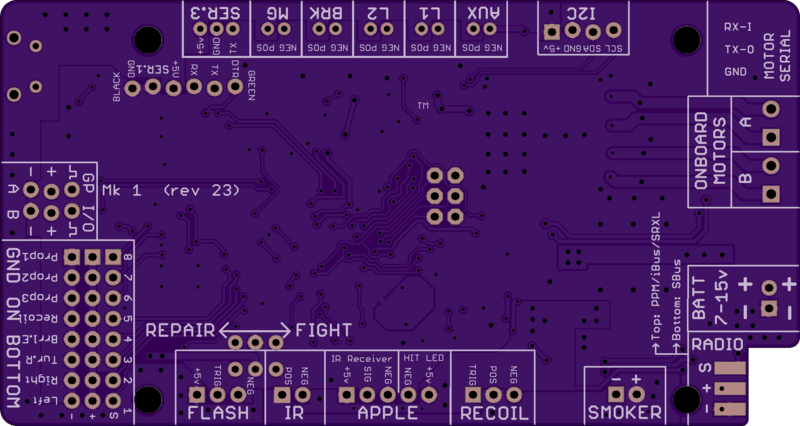 For bill of materials, Eagle board files, and schematics for the TCB, see the Open Panzer Downloads page. A compiled hex of the latest TCB firmware can also be found on the same Downloads page. For the actual source code, see the TCB repository at our GitHub site.